Mummy On My Mind is launching a new feature on the blog. It is called “Local Flair”! 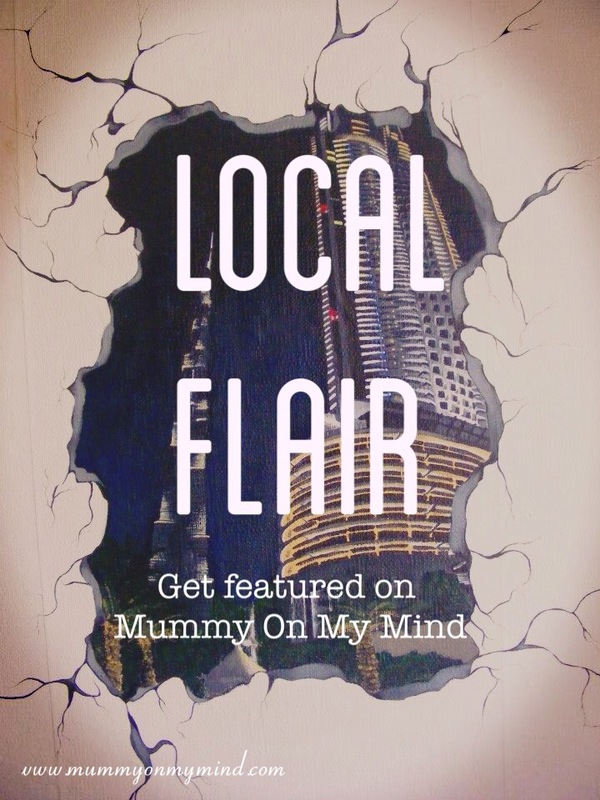 Local Flair is a place for artistic businesses local to the UAE to be featured on Mummy On My Mind. Mummy On My Mind is teaming up with local businesses to showcase their artistic talent. Being an Art enthusiast, this is something I am very much passionate about. I am all up for “bigging up” the local businesses for their artistic contribution to the community, and also very curious to unravel the inspirations and thoughts behind their work of art. If you are a business owner local to the UAE that is artistic in some shape or form and would like to be featured on Mummy On My Mind, then please feel free to drop an email at mummyonmymind@gmail.com. Local Flair is COMING SOON…to a blog near YOU! Watch this space!